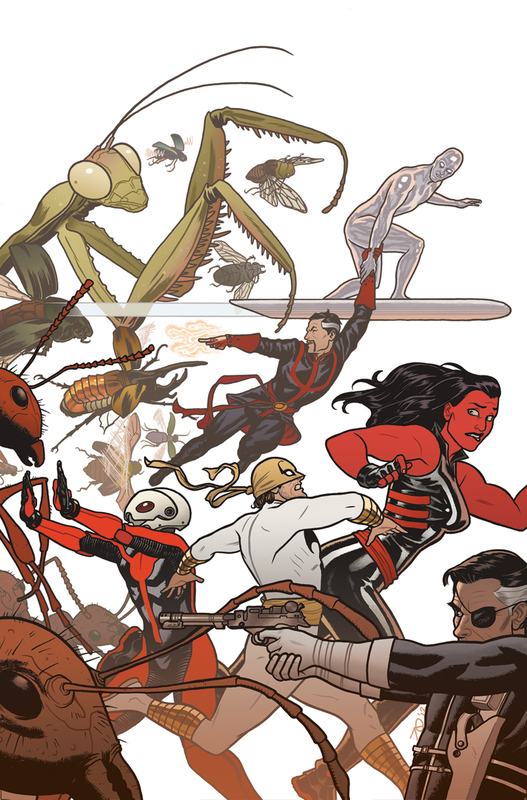 Joe Quinones' interweb-log: Defenders: Assemble! Above is my cover for issue 10 of Marvel's The Defenders, featuring a story by Matt Fraction and Jamie McKelivie. 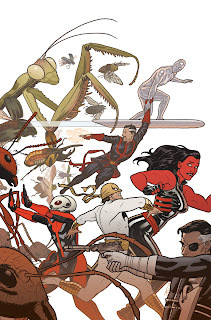 Apparently, this issue re-introduces Ant-Man into the group, hence this insect-scale cover. Simultaneously, I'm paying a bit of an homage to the old eighties Marvel Universe official handbooks. It was really fun getting to draw a group of characters I'd never tackled before - particularly the Master of the Mystic Arts, Dr. Strange! Yep, this is super good, love that mantis in the background! Thanks Jamie! Love your art! Jeff! Thanks to you as well, good sir. Sweet Jeebus, this is beautiful. Not just the details, but the dynamism and expressions. Love it. Enroll in dance classes are the most extra lessons in the love of children. Even if your child does not want to be a dancer professional they will gain the most benefit from dance lessons, among others. Well, to be fair...you DID draw Doc and Clea for me at Philly a few years ago. I understand if you forgot or it doesn't bother mention, but I still love it! Thanks! I of course remember that commission -- thank you! I think I meant it as Dr. Strange being someone I hadn't tackled professionally before. I had a ton of fun doing that Clea/Strange piece.